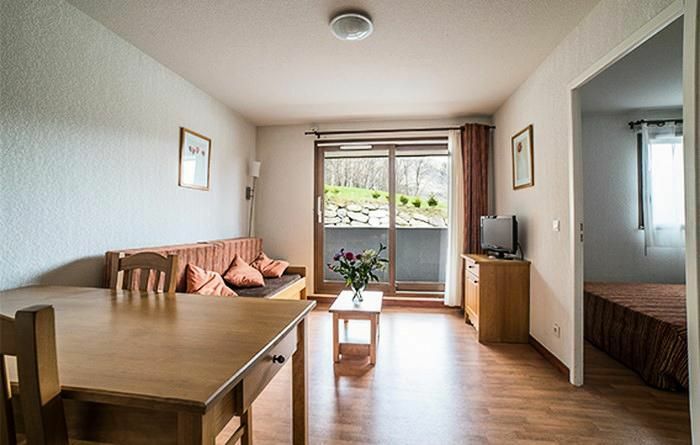 Apartment 32 to 43m² for 6 people, consisting of a living room with sofa bed for 2 people, a bedroom with 1 double bed, a sleeping area with 2 bunk beds, a kitchenette, 'a bathroom with shower or bath, separate toilet or not and a terrace or balcony. The apartment has a kitchenette equipped with electric hob, fridge, microwave, dishwasher, coffee maker and all the necessary kitchen utensils and crockery for 6 people. JARRIER: Motorway A43 to Saint Jean de Maurienne, then follow Valley of Arvan (CD 926) and finally Jarrier.